Boiled wool as a modernized form of the oldest fabric known to mankind. 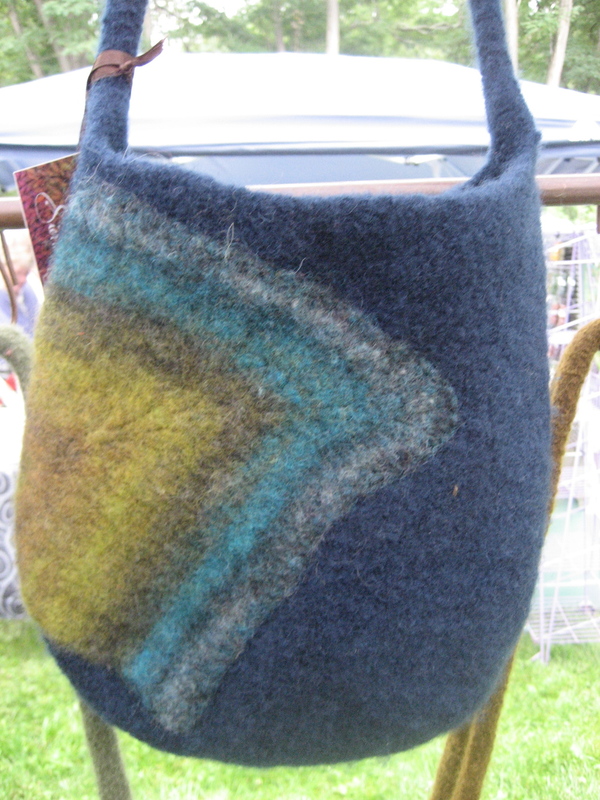 These handbags are hand knit, washed in hot water, air dried and lined with fabric. 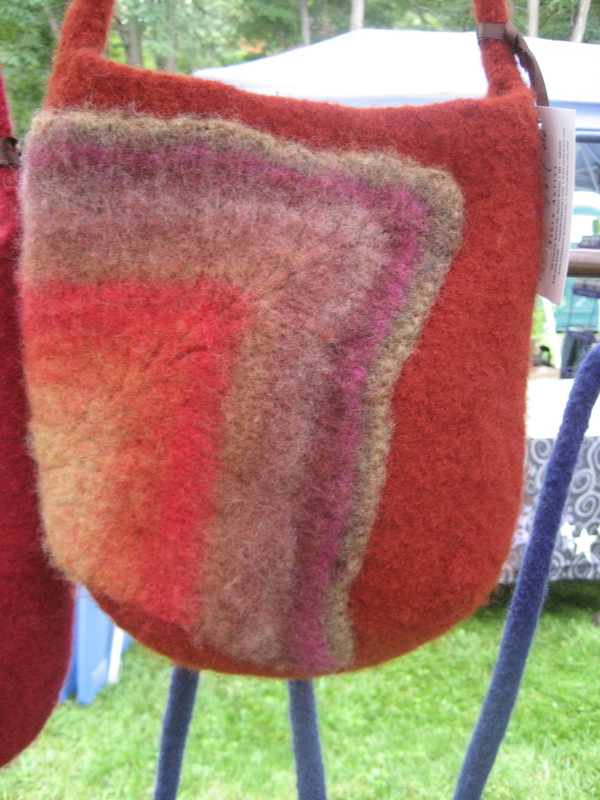 By combining wool with silk, llama, alpaca, cotton and soy these bags are a unique landscape of color and texture.